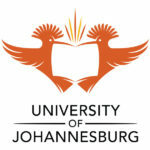 The University of Johannesburg is a public university that is located in Johannesburg, South Africa. UJ came into existence on 1 January 2005 as a result of the merger between the Rand Afrikaans University(RAU), the Technikon Witwatersrand (TWR) and the Soweto and East Rand campuses of Vista University. The University of Johannesburg is encouraging students to apply online or paper-based for the 2020 academic year. The deadline is in September 2020. Undergraduate – Please consult the “UJ Undergraduate Prospectus 2020” obtainable from the UJ Web www.uj.ac.za/apply for full details of the admission requirements pertaining to the programme for which you intend to enroll. Postgraduate – Please consult the relevant Faculty or visit the UJ website for more information. In the case of applicants re-writing Grade 12 subjects, applications will be processed on the current results available. If Grade 12 has been written more than once then your combined results must be submitted with your application. Applicants writing the National Senior Certificate (NSC) through IEB or SACAI examining bodies can apply online by selecting “National Senior Certificate” under the Results Detail page of the online application process. Applicants currently in Grade 12 may be requested to provide certified copies of final Grade 11 results for verification and auditing purposes. Applicants may only apply for two study choices. These study choices can’t be amended once they have been chosen. Knowing the qualification requirements will avoid disappointment when applying. Therefore, ensure you consult with the 2020 Undergraduate Prospectus when completing your application. Applicants already in possession of a UJ student number must use their existing student number when applying. To verify or update your cell number/email details – contact the UJ Call Centre on 011 559 4555. Applicants transferring from another university/tertiary institution are required to declare their previous studies when applying as well as upload a full academic record/transcript and degree/diploma certificate (if applicable). Please refer to “Document upload requirements when applying online” below for more information on the uploading of documents. If you forgot your pin then select “Request a PIN” using your existing UJ student number. A PIN will be sent to you via email. Thereafter, login using your student number and PIN provided. If the residence is required then a deposit of R1220 must be paid. Alternatively, documents can be emailed to [email protected] with the provisional reference/student number noted in the subject line of the email. R200-00 (non-refundable) – if applying using this paper form. Click here to download the University of Johannesburg (UJ) Prospectus 2020. UJ’s 2020 application cycle opens in April 2020. Yes, we have NSFAS, Eduloan, and bursaries, which you may enquire about at our Finance Department on each of our four campuses. Yes, Applicants writing the National Senior Certificate (NSC) through IEB or SACAI examining bodies can apply online by selecting “National Senior Certificate” under the Results Detail page of the online application process.